Sitting at Starbucks, I bought a large coffee for a homeless man who was asking for any type of help people could give. As I continued working, I watched him, fascinated, as he limped around outside, cup out but constantly in motion. Then I realized that he was taking napkins and wiping the outside tables dry so people could sit there after the rain; he was also picking up cigarette butts and pieces of trash from the ground all around the coffee shop and throwing them away. There are people sitting outside now at the tables he dried, and there are people walking past his proffered cup on the sidewalk that he cleaned. The things we normally ignore when we’re rushing past with our heads down and our defenses up–try not to take them for granted. You never know what beauty you might miss. There’s a special spot in heaven for bus drivers who wait for you when they see you running to catch your transfer, instead of closing the door in your face and rolling with painstaking slowness away from the curb. Or if there isn’t, there should be. A salute to all nice public transit operators who have ever made life easier for us! Dear lovely loud partying undergraduate neighbors…. When I flunk your derrieres. I am still in awe. Somebody remind me how to breathe. To my neighbors playing N64 Mario Kart: Whoever is using Toad seriously needs to quit slipping on banana peels, hand over his controller, and just let me win it for him already…. Passed quals on V-Day 2014–officially one step closer to that PhD thank you all for your amazing support!! Uber driver wants to know if I’m single. To the anonymous person who returned my wallet (and everything in it) to the police department last night before I even realized it was missing: thank you! But more importantly, thank you for showing that my trust in the goodness of people is not misplaced. Just did a random act of kindness this afternoon to remind myself that the smallest things make a difference–happy holidays!! What moments will you remember best from 2014? You'll go warm from head to toes when you take a bite of this holiday cookie! 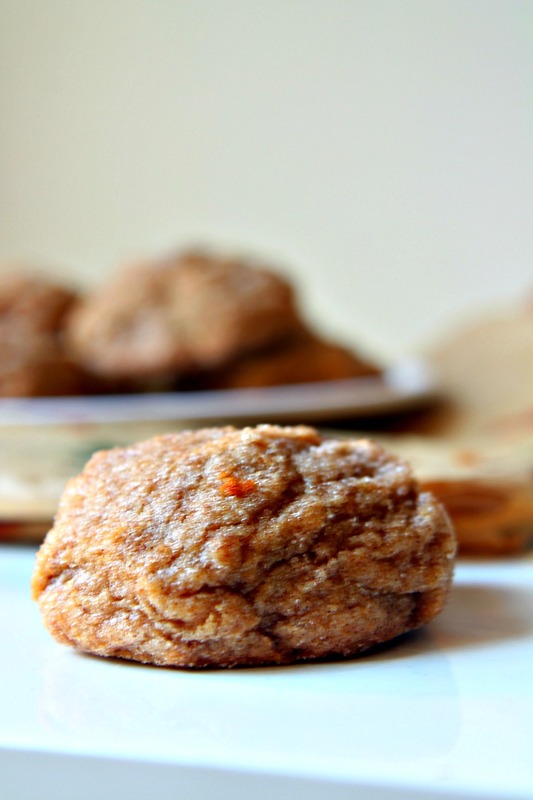 Thick, puffy, incredibly soft, and absolutely filled with spices: the perfect gift or holiday potluck dessert! Preheat oven to 350 degrees F. Lightly grease a cookie sheet and set aside. In a mixing bowl, cream together butter and 1 cup white sugar until light and fluffy. Mix in egg, water, and molasses. In a separate bowl, sift together flour, ginger, 1 teaspoon cinnamon, baking soda, and salt. Add to wet ingredients and fold in until just incorporated. In a small bowl, combine remaining 3 tablespoons white sugar and 1 tablespoon cinnamon. Using a medium cookie scoop (or a spoon), form small balls of dough and roll them generously in cinnamon-sugar mixture, until completely coated. Place coated dough 1 inch apart on prepared cookie sheet. Repeat until you have filled your cookie sheet--you may flatten your cookie dough slightly if you'd like thinner cookies. Bake in preheated oven for 9-11 minutes, until the edges have set but the center still feels slightly undercooked. Remove from oven and allow to cool on stovetop--your cookies will continue cooking at this stage, giving them that perfect softness and chewiness! Lovely post, and not just the recipe but your comments/observations sprinkled throughout. Delicious and I LOVE a touch of ginger! Ohhhh you’d love them, even though it’s summer in your part of the lovely world. I’d ship ’em right over if I knew it’d take less than 4 weeks!! such a lovely and inspiring post; i can’t even think of anything to say to do it justice. i love the homeless man story, and i love all your other stories too. and i love gingerbread cookies! You’re the absolute best, you know that right, Myriam? I love sharing these stories with you, you always have such positive thoughts to share. And you’re awesome, girl! I don’t think I did molasses before; but these cookies look so delicious and I can’t imagine how delicious your home after baking these cuties. Okay, you seriously made my day with this comment, Linda!! I pretty much melted into the floor when I read it. THANK you, and trust me–the fangirling is totally mutually in these parts! Yee! I’m so glad you came back to this blogging gig full-time! 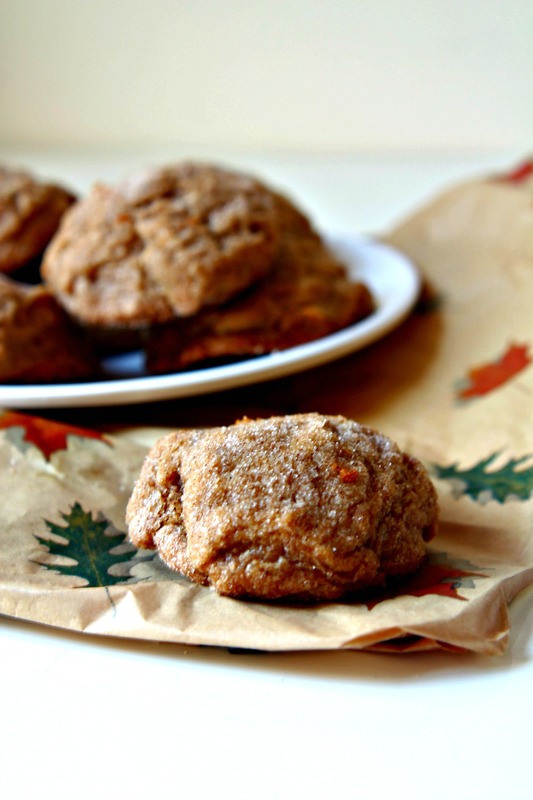 Molasses and ginger? Yes! Great recipe, wonderful post — thanks. Yes indeed! Hope the holiday scents are filling your kitchen too, John! love what you wrote in december about the homeless man outside Starbucks. . you are right . . people are too hurried or too wrapped up in themselves to notice the little things sometimes. . today, I watched A Christmas Carol with my daughter for her school field trip and was totally crying. . the story is so beautiful and just made me think about how I live my life. . anyway, great post, Ala!! and love these cookies! Oh, I love the review of your FB statuses…I especially loved April’s and December’s. You are a gem. And you write so well. Liz, thank you for always saying the perfect thing that means so much to me. I read your comments and melt, every time. Loved reading your glimpse back on the year especially the December post about the homeless man. So beautiful. And so are these cookies, love them! Just a little messenger for the beauty in the world 🙂 your comments always leave me feeling a beautiful glow! Have a great end of your week! And good cookies to go with it = winning at life. I don’t know if I’d say winning at life–but we’re trying pretty darn hard! 😉 cheerios! Crispy ginger wafers are not for me. 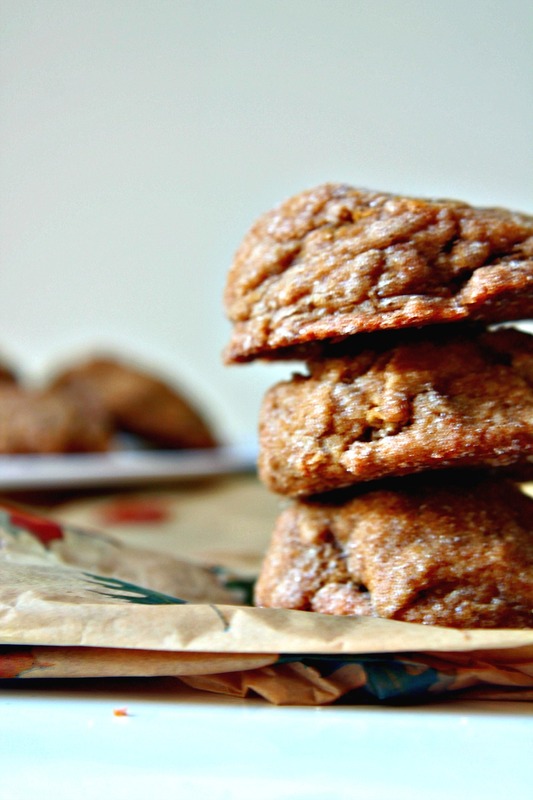 These ginger molasses cookies look just perfect for me – I am a follower of the pillowy cookie!! Haha! Jump on board the pillow-cookie train, Jess! Also, OMG, can I just say I went a-lurkin’ at your blog, and I love it soo much! I’ve had such a tumultuous year, losing my mom (and my cat). But there have been many, many bright spots too. Truly a year of highs and lows. I love how you notice the little moments in the day. The joy of being in the moment can not be underestimated. After all, that is all we really have. The past is gone and the future a mystery. 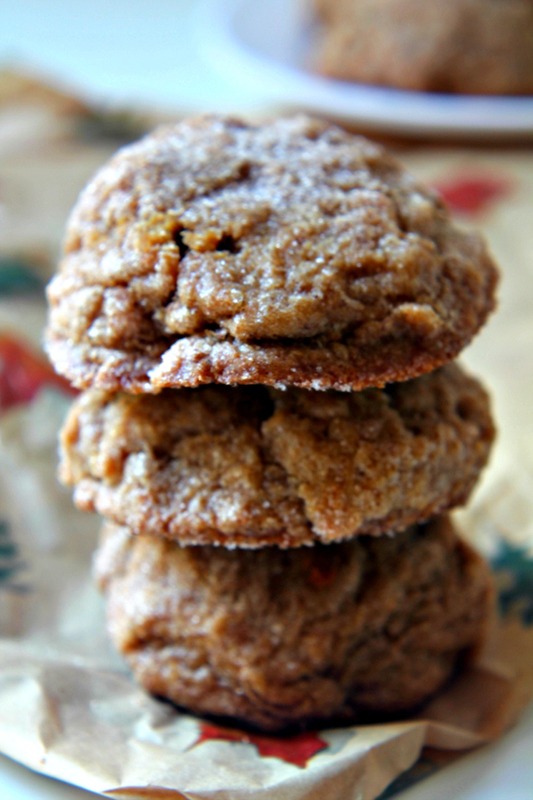 And as of this very minute a Puffy Ginger Molasses Sugar cookie would be divine! Deb, I’m terribly sorry to hear about your losses. You’re such a huge support for me within the blogging community, and it’s always an inspiration to read about how you cope with what must a really difficult time. The lows really do make us appreciate the highs as well, so I’m glad to hear you’re still making the best of it. Happy holidays to you and all your loved ones! First of all, best post ever!! And these cookies 🙂 WHOA! I want them! Dawww thanks, Zainab! I’d send you a billion in a heartbeat! Mine were flat as a pancake. Any ideas? Hey! Thanks for reporting back–since my recipe doesn’t include a step to chill your dough, you might want to try doing so for a few hours before baking in order to retain that nice puffy cookie shape. (Also, double-checking that your baking soda is active and not yet expired could be another way to go.) Hope this helps!